Dosimeter MKS-85GM "Schoolboy" is based on the classic high-sensitivity Geiger-Muller counter. 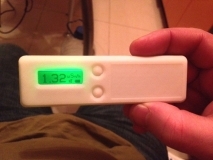 The device features unique in its class weight and size characteristics (110x33x15 mm, 45 g), has a sensitivity of X-rays, the ability to control the ambient temperature. 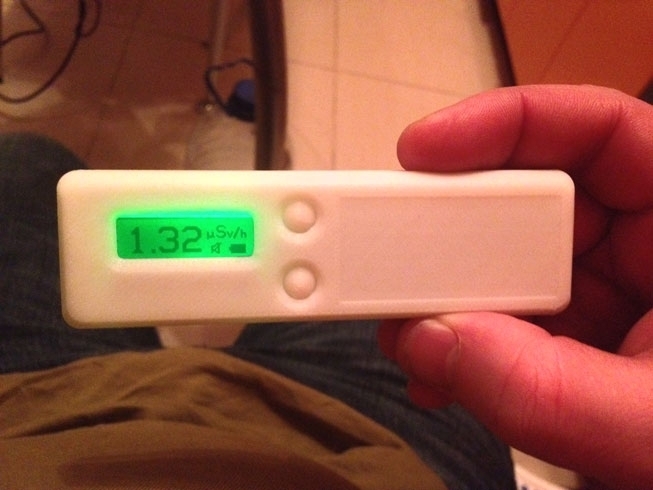 The device has the ability to output dose graphics on it's own graphical indicator. Dosimeter-clock, thermometer, MKS-85GM "Schoolboy" is designed to control the level of radiation on the ground and on the premises, as well as to assess the radioactive contamination of materials, foodstuffs. The device is simple and reliable in operation and does not require special skills. 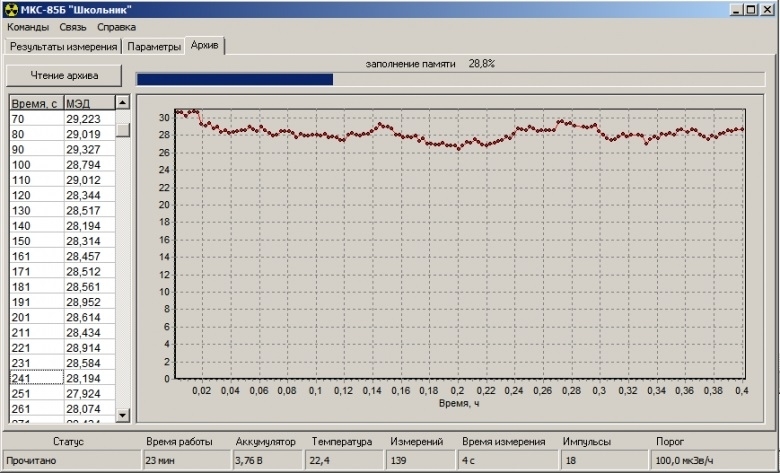 The device has the ability to connect to a computer via USB-interface to generate reports on the accumulated measurement, graphing, programming device functions. 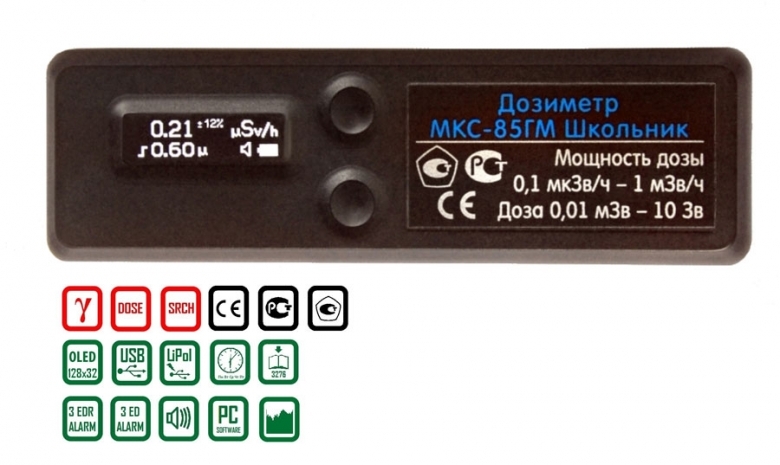 Dosimeter MKS-85GM is available in four versions: MKS-85 "Schoolboy" (base model), MKS-85B "Schoolboy" (with BLUETOOTH module and silicon-based counter), MKS-85F "Baby" (flash drive, without display), MKS-85GM (on Geiger-Muller). Please specify when ordering. 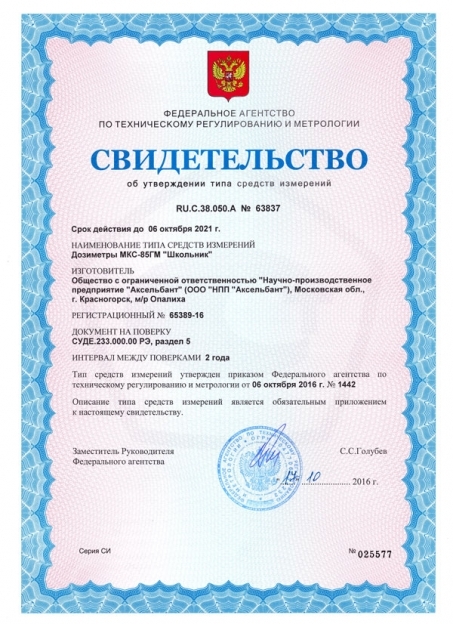 Technical parameters of the dosimeter MKS-85GM "Schoolboy" meet professional instrument, the instrument is certified Rostest and European CE certification, it is in the process of entering into the State Register of measuring instruments in the future can be supplied with state metrological verification. 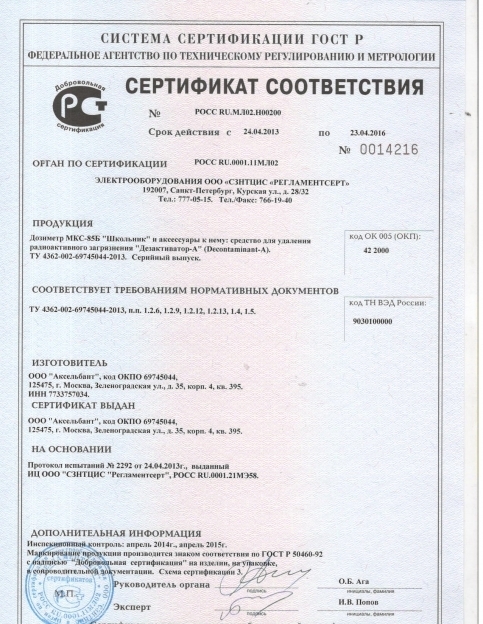 Technical description and characteristicsDosimeter MKS-85GM "Schoolboy" for measuring seafood comes with plastic bags with a lock, as well as a liquid solution for decontamination of the body and contaminated sites "Deactivator-A". 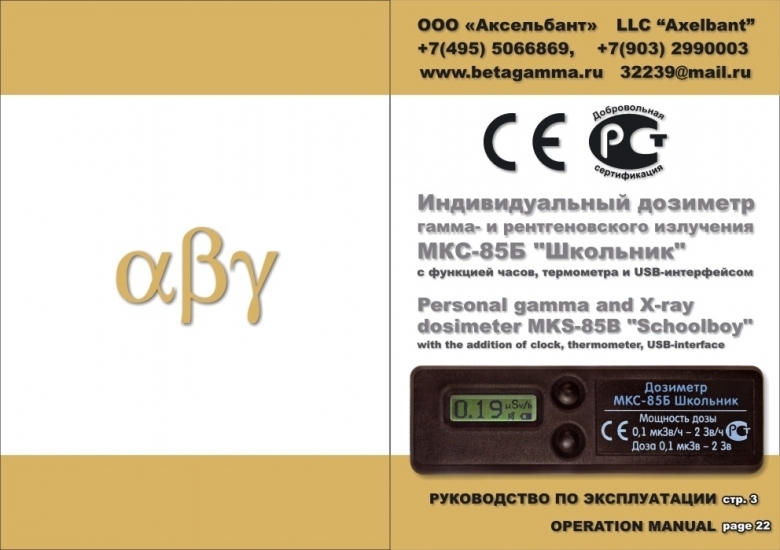 Dosimeter MKS-85GM "Schoolboy" is designed for monitoring ambient dose equivalent rate of gamma radiation in the domestic environment (rooms, food, construction materials, soil, etc.) and can also be used by personnel working with sources of ionizing radiation. 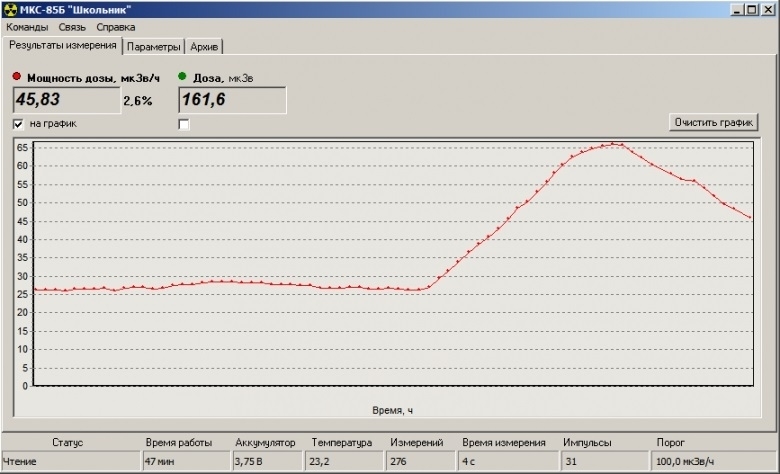 At the same time there is an accumulation of information on the dose received by users in the interest of his time, as well as display the current date, time and temperature. not less than 120 h.
no more than 4 h.
- Dosimeter MKS-85GM Schoolboy - 1 pc. - Warranty card - 1 pc. - Cable mini-USB - 1 pc. - CD-ROM with software and manual - 1 pc. 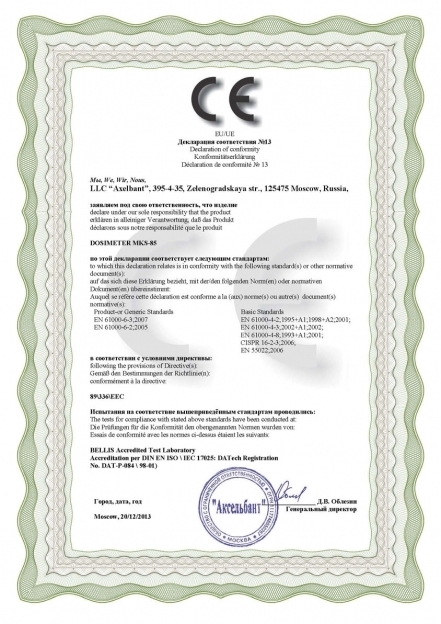 The warranty period for the product - 2 years, lifetime - not less than 6 years, the battery - not less than 3 years.